I missed out on all the fun last time, but I am so excited to be a part of The Magical Product Swap that the lovely Jessica Stanford puts together every so often. I was even more excited when I found out my partner was Fern Smith from Fern Smith's Classroom Ideas! Now, I know some of you out there are thinking... what in the world is a bookworm going to do when paired together with a math wizard? :) Lucky for both of us, we each needed something for a tutoring group. Viola! Swap success! By the way, if you are not following Fern you are MISSING out. 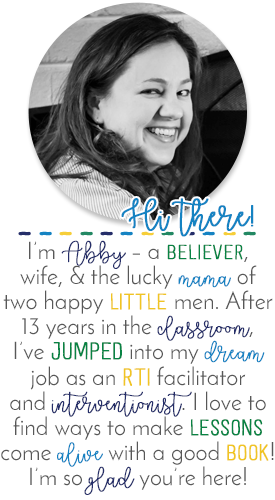 She is FULL of fabulous freebies, classroom ideas and wonderful products. I love her! Some of my inclusion kiddos are really struggling with fractions right now, even in their small group instruction. Fern was sweet enough to send me not one, but TWO of her newest fraction games! My *new* laminator for home! LOVE! Charlie coming over to help sort the fractions. He's a genius. Charlie's finished sort for one third! 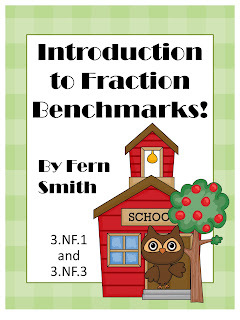 I love that Fern included a cute cover for teacher and student directions! It is so important with my inclusion kiddos that they have a visual reminder of what to do. Many times, students with learning disabilities will "get it" when you are working with them in a whole or small group setting, but when they go back to their seat... or the next day.... it's gone! The simple instructions keep me from running from group to group re-explaining what to do AND it keeps their skill practice independent. 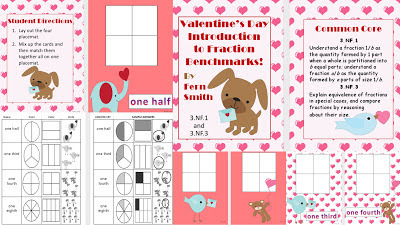 Fern also included 2 ways for students to practice - one set of papers labeled with the fraction, and one without. 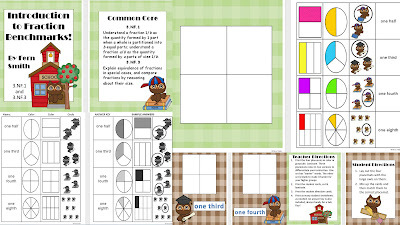 I loved the gradual release for this activity! When my students can identify the fraction without the word prompts, then they can use the blank pages. Brilliant! There is also a fabulous student recording sheet and answer key. My co-teacher and I talked about how the recording sheet would be a great assessment tool once our kids have played a few time to see if they can create the fractions correctly on their own! Fern has also created the C-U-T-E-S-T valentine version of this product! I cannot wait to bust this out in February for a fun review. I will leave you with instructions to GO check out these fabulous products (and the rest of Fern's fantastic store)... and one more picture of Charlie. You are amazing!! Tell Charlie I am in love with him! Thank you so much for such a terrific write up and all the terrific pictures! I'm glad I found your blog through the Product Swap. Isn't Fern's stuff amazing? Love Charlie and your post.